WPW052627 WALES (1937). 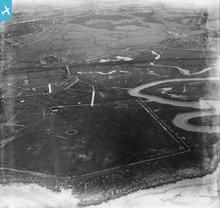 View of Cardiff Airport, Splott, oblique aerial view. 5"x4" black and white glass plate negative. 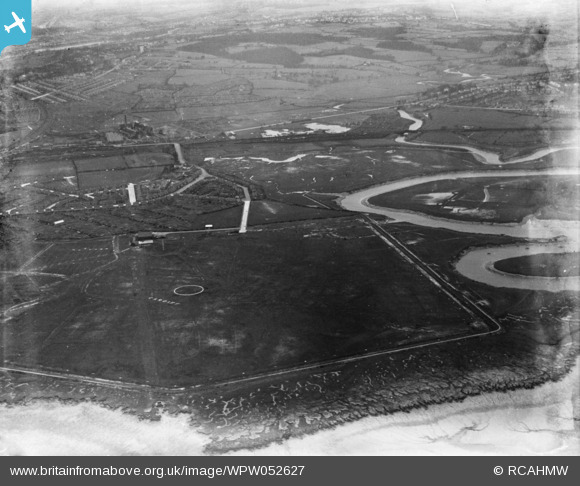 Title [WPW052627] View of Cardiff Airport, Splott, oblique aerial view. 5"x4" black and white glass plate negative. This airport perimeter road is the approximate route of Rover Way. Roath power station. Now the site of Burger King, a sub station, and partially Sainsburys car park.